The U.S. has "a long list of failed efforts" with North Korea, Panetta said. 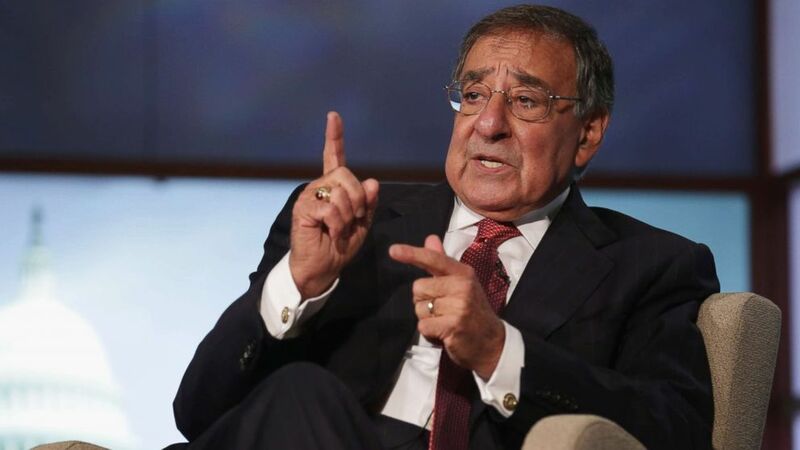 Leon Panetta told “This Week” Co-Anchor Martha Raddatz in an exclusive interview aired Sunday that the June summit between Trump and the North Korean leader was "all about show." “When the balloons went away, when the confetti went away, there was nothing there to require the North Koreans to do what was necessary in order to denuclearize,” Panetta said on "This Week." 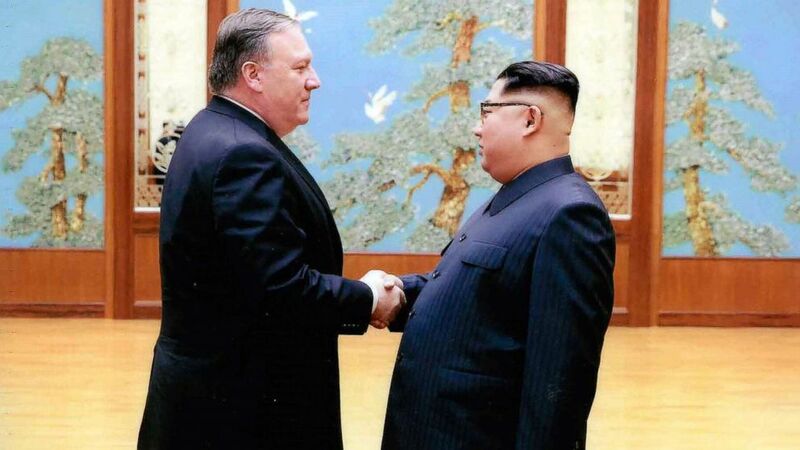 (White House via AP) CIA director Mike Pompeo shakes hands with North Korean leader Kim Jong Un in Pyongyang, North Korea, during a 2018 Easter weekend trip in this undated image. Trump announced on Aug. 24 that a planned trip by Secretary of State Mike Pompeo was cancelled because of insufficient progress toward ending North Korea's nuclear program. “I have asked Secretary of State Mike Pompeo not to go to North Korea, at this time, because I feel we are not making sufficient progress with respect to the denuclearization of the Korean Peninsula,” the president tweeted. Trump added that China wasn’t “helping with the process of denuclearization as they once were” due to the U.S. imposing tougher trade policies. (Chip Somodevilla/Getty Images, FILE) Leon Panetta discuss his new book, "Worthy Fights," during an event in the Jack Morton Auditorium at George Washington University, Oct. 14, 2014 in Washington, D.C.
Raddatz also asked Panetta about the U.S. war in Afghanistan, which is approaching its 17th year. “After 17 years? I feel like I’ve heard that before,” Raddatz pressed. Panetta conceded she was “absolutely right” that she’s heard that before. “We have not dealt with the problems of Afghanistan that have to be resolved if we’re ever going to save Afghanistan,” Panetta added.